The purpose of homeowners insurance is to provide coverage to repair or replace the home and it’s belongings should they befall certain perils (e.g. fire or theft). Renters and condo insurance policies are structured similarly. These policies can also help to cover your cost if there is accidental damage to another persons property or if someone visiting your home should become injured. For the purposes of this article, we will focus solely on personal property protection. There are two types of personal property coverages. The first reimburses the replacement cost for an item and typically pays what it would cost to buy a new item at the time of a claim. The second pays for an item’s actual cash value which is based on the estimated value of the item at the time of a claim. While this sounds great, it is important to keep in mind that the coverage of every policy is subject to a limit, the maximum amount that the policy will pay towards a covered loss. Many policies have a deductible which helps to reduce the annual premium but would need to be paid before the insurance policy’s benefits kick in. It may surprise you to find out that certain items may not be covered at all or that the coverage limits on your policy may not be nearly sufficient enough to replace your valued possessions. While homeowners insurance is designed to protect you from losses due to a variety of circumstances, your collection may not be covered in the way that you think. In fact, if not listed separately, it is very possible that your insurance company could refuse to reimburse you for the loss of your items. Even if you do have some coverage, it is often the case that claims won’t result in a return of the item’s full appraised value. Reimbursements are usually limited to an actual cash value which does not take into account the collectibility or appraised value of the item. Sometimes, you may only get reimbursed for what you can prove that you actually paid for the items and only then if you have receipts. 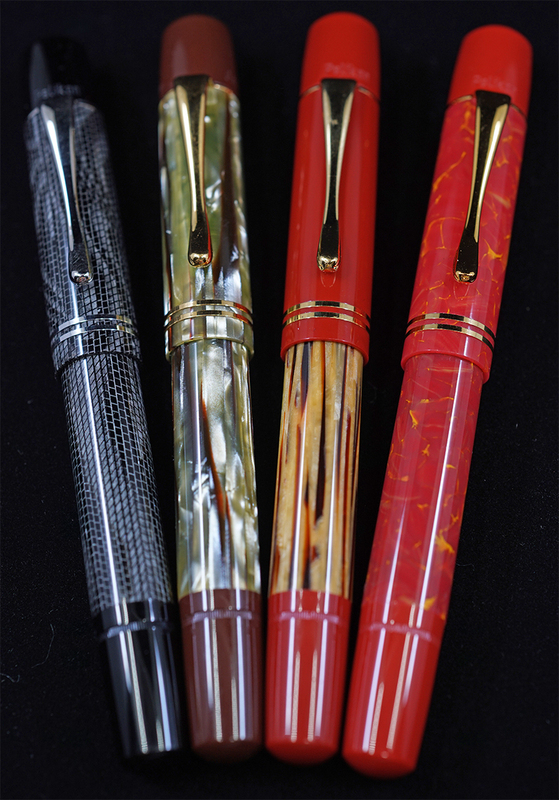 So, you see, it is an unfortunate truth that paying your premium may not be enough to provide adequate protection for your fountain pen collection. The coverage you currently have likely has sub-limits for certain types of property or even limits for each item. This is where a general policy tends to fail the collector. Let’s look at a hypothetical example to illustrate the point. Say that your homeowners policy provides $200,000 of coverage for the sake of this argument. That doesn’t mean that your high valued items are covered by the same amount. In fact, most personal property coverages are only 50% to 70% of the total insurance coverage. Something like a pen can be easily lost or stolen, so coverage is usually limited to a certain amount. Now let’s say you owned a limited edition pen worth a few thousand dollars. Your policy might only provide coverage for up to half of the pen’s value resulting in a net loss. There are actually two ways to increase the coverage on your collection. The first is to raise the limit of liability on your existing policy. This is usually the cheaper option and for good reason. There are still limited amounts for both individual pieces and overall losses. An individual piece could be limited to just $2000 of coverage with an overall limit of $5000. Perhaps this would serve smaller collections made of relatively inexpensive pens but it could easily be surpassed should you have just a few high dollar items. If that is your situation, it may be to your benefit to “schedule” certain items on your policy or to purchase separate coverage, frequently referred to as an endorsement or floater, to further protect specific high-value items. While more costly, this option provides the broadest protection for your valuables. This is usually more involved and will often times require good documentation of each item to be scheduled as well as a professional appraisal in some instances. For larger, more expensive collections, this is frequently the best way to go. Even if you have purchased a floater or scheduled your more expensive items, making a claim for the loss of an item may still prove challenging. Insurers typically reduce claim payments on property by depreciation which usually does not pertain to items such as fountain pens. The result is that you may find yourself arguing with your carrier about the actual value of your collection, something that can be very hard to prove. 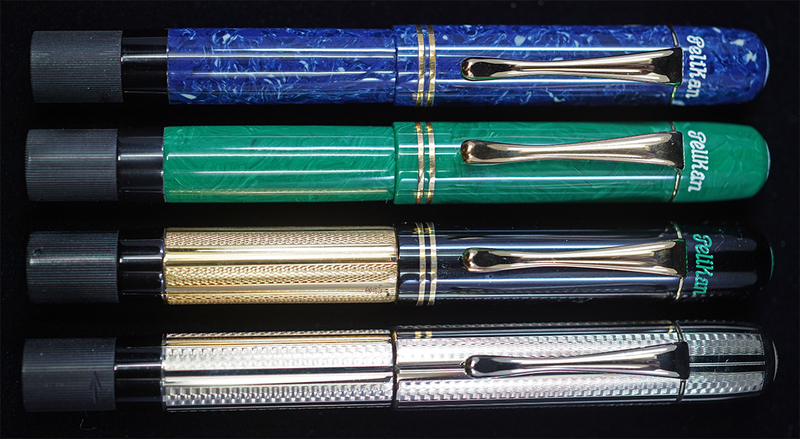 If your fountain pen collection includes items that aren’t replaceable, either because they are rare or vintage, then insurance companies are only likely to pay the actual cash value unless you have scheduled the item(s). If an item is scheduled then it is covered no matter what happens to it and this includes both on and off of the premises. What is most important here for a fountain pen collection is getting the replacement value without actually having to replace the item. The pen may have been a rarity and a comparable replacement may not be readily available. There are some other things to consider as well. Pens are small, portable items. By their very nature, they are prone to loss which increases the exposure of an insurance company. There may even be an exclusion for such items in your current insurance policy meaning you have no coverage at all so it is worth double checking. If you require sizable coverage, an annual policy via a floater may be priced exorbitantly high which is cost prohibitive. Insurance companies usually charge an amount per hundred dollars of value and the rate depends on the item. A good guiding principle is to schedule only those times that are irreplaceable. If you can go into a store and buy that item new today, it likely doesn’t need to be scheduled. As you add to your collection, you should update your policy accordingly. Should your collection be too large to be eligible for reasonable coverage under your existing policy, you may wish to look outside of your current company. Many general policy issuers aren’t well suited to the specialized coverage a collector may need. You should shop around, particularly with companies with an expertise in collectors and their valuables. Chubb is one such company that comes to mind but there are others out there. It is also a good policy to keep a detailed record of your collection as this will be necessary at the time of purchasing coverage as well as for when you file a claim. Obviously insurance is just one piece of the equation. To provide peace of mind, there are other steps that you can and should do to protect yourself. Quality deadbolts on your doors and even a home security system are a good start. 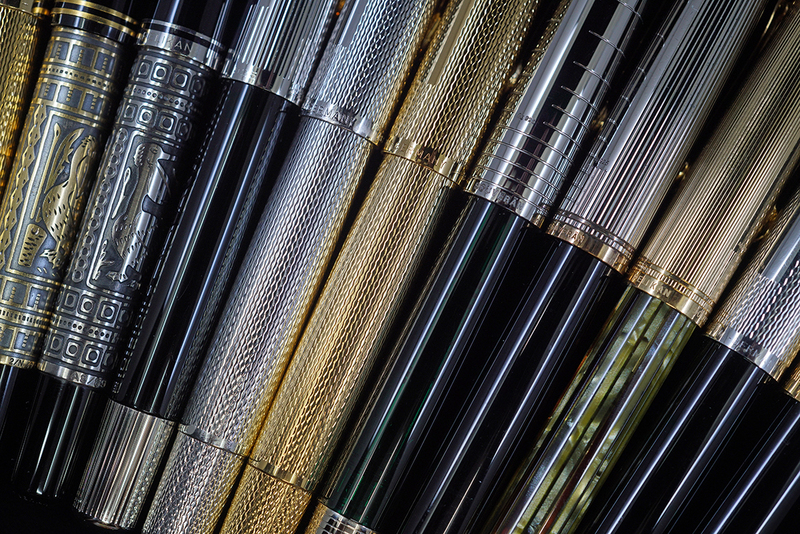 Make sure that your pens are protected in some way such as being housed in a case. A fire safe can provide an extra layer of protection depending on the size of your collection. Also, it’s probably a good idea to not broadcast the fact that you have valuables in your home. If you have any questions or feel that you would benefit from additional coverage, I encourage you to contact your insurance carrier or to reach out to a certified insurance broker. Disclaimer: I am not an insurance broker nor do I have any affiliation with the insurance industry. In fact, I do not have any particular training or special knowledge of insurance related issues. What you find here is simply the result of my own research. I encourage you to do your own, using this post as a jumping off point. Thanks for this article, Joshua. Lots of good info here. I would recommend people start by just calling their insurance provider and having a conversation with them. Whatever the outcome of that conversation is, be sure to get a copy of the policy and actually read it! Make sure you understand it and if you have questions don’t hesitate to ask them about it. Excellent advice Dan and I concur 100%. I’m interested to see if this is something many people have thought about before or not. Also interested what the experience of others have been. Thank you, Joshua, for an interesting and sobering article. Although I have fortunately not yet had to make a claim on my insurers for theft, it is important to be reminded every once in a while about the difficulties of making successful insurance claims. 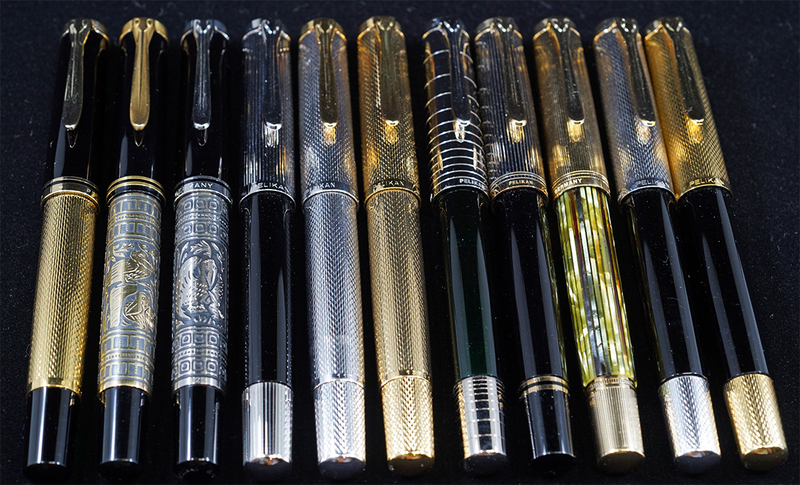 My own collection (a lot of Pelikans!… and a few Japanese pens and Viscontis) is not of any “consequence” but I would be very upset to lose pens with which I have written for years and which have sentimental value. Do you have the same “anxiety” or do others follow the same approach with their collection? You make good points. I do have display cases that aren’t really displayed if that makes sense and the same points that you raised have crossed my mind in the past. My collection is tucked away, partly to protect from thieves and partly to preserve my marriage. I totally agree with the way you store your pens. Many thieves are probably not even aware of the value of fountain pens. However, we don’t want to educate them about it by placing our beloved pens on display in an ostentatious case! Having them stored in unremarkable-looking leather folders in separate locations is a great way to reduce your risk, should you ever suffer a burglary. Even if someone were targeting your collection (unlikely), they wouldn’t know where to look to find them all. If at first your insurance carrier denies coverage, I do suggest that you consider taking the policy to an attorney (make sure he or she would agree to look over it and indicate whether you might have a valid claim. Nevertheless, I agree with the article. One additional factor may be the fact that the pen inventory was part of business. A home-based business likely requires business inventory coverage and would be an explicit business policy arguably. A mere personal collection, no matter how much the values, are addressed well by the article. My own homeowner’s policy issuer required I declare computer equipment in excess of a stated value, and jewelry in excess of a certain total value. Good advice and insight Larry. Thanks.